9781119276128 | Jossey-Bass Inc Pub, May 9, 2016, cover price $29.00 | About this edition: Take a broad, balanced look at the present and potential MOOC landscape in higher education. 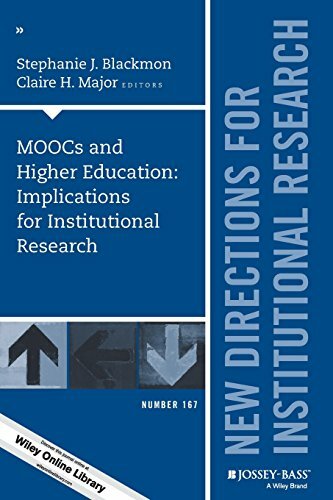 9780415699358 | Routledge, September 25, 2015, cover price $160.00 | About this edition: Despite a growing body of research on teaching methods, instructors lack a comprehensive resource that highlights and synthesizes proven approaches. 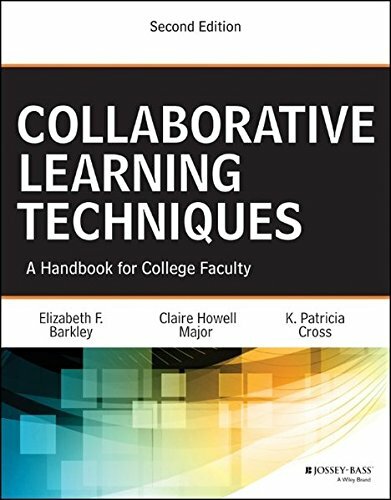 9781421416236 | Johns Hopkins Univ Pr, March 2, 2015, cover price $59.95 | About this edition: It is difficult to imagine a college class today that does not include some online component―whether a simple posting of a syllabus to course management software, the use of social media for communication, or a full-blown course offering through a MOOC platform. 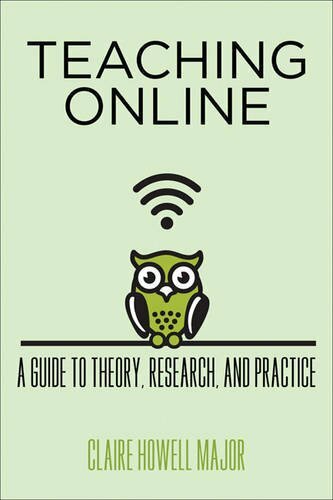 9781421416335 | Johns Hopkins Univ Pr, April 2, 2015, cover price $29.95 | About this edition: It is difficult to imagine a college class today that does not include some online component―whether a simple posting of a syllabus to course management software, the use of social media for communication, or a full-blown course offering through a MOOC platform. 9781118761557 | 2 edition (Jossey-Bass Inc Pub, August 11, 2014), cover price $45.00 | About this edition: A guide to thirty-five creative assignments for pairs and groups Collaborative Learning Techniques is the bestseller that college and university faculty around the world have used to help them make the most of small group learning. 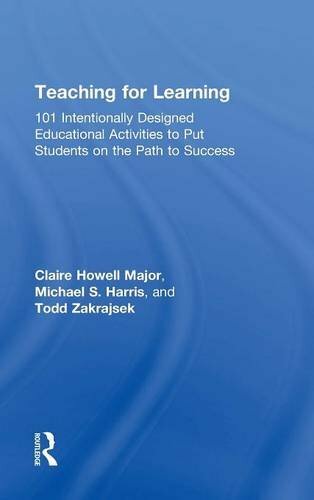 9780787955182 | Jossey-Bass Inc Pub, October 12, 2004, cover price $42.00 | About this edition: Engaging students in active learning is a predominant theme in today's classrooms. 9780415674782 | Routledge, April 30, 2013, cover price $59.95 | About this edition: Qualitative Research: The Essential Guide to Theory and Practice provides a one-stop resource for all those approaching qualitative research for the first time, as well as those revisiting core concepts and issues. 9780415674799 | Routledge, December 26, 2012, cover price $155.00 | About this edition: Qualitative Research: The Essential Guide to Theory and Practice provides a one-stop resource for all those approaching qualitative research for the first time, as well as those revisiting core concepts and issues. 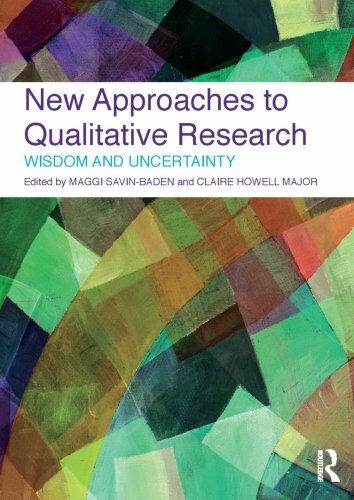 9780415572408 | 1 edition (Routledge, May 11, 2010), cover price $170.00 | About this edition: Qualitative research has seen a surge of growth during the past decade. 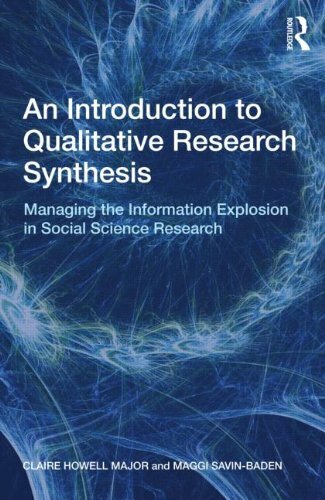 9780415572415 | 1 edition (Routledge, May 11, 2010), cover price $52.95 | About this edition: Qualitative research has seen a surge of growth during the past decade. 9780415562850 | 1 edition (Routledge, March 15, 2010), cover price $170.00 | About this edition: Providing a comprehensive guide for understanding, interpreting and synthesizing qualitative studies, An Introduction to Qualitative Research Synthesis shows how data can be collated together effectively to summarise existing bodies of knowledge and to create a more complete picture of findings across different studies The authors describe qualitative research synthesis and argue for its use, describing the process of data analysis, synthesis and interpretation and provide specific details and examples of how the approach works in practice. 9780415562867 | 1 edition (Routledge, March 15, 2010), cover price $42.95 | About this edition: Providing a comprehensive guide for understanding, interpreting and synthesizing qualitative studies, An Introduction to Qualitative Research Synthesis shows how data can be collated together effectively to summarise existing bodies of knowledge and to create a more complete picture of findings across different studies The authors describe qualitative research synthesis and argue for its use, describing the process of data analysis, synthesis and interpretation and provide specific details and examples of how the approach works in practice. 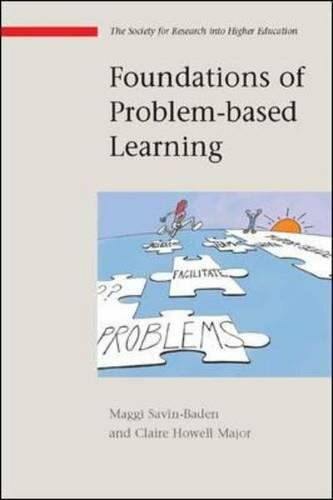 9780335215324 | Open Univ Pr, October 26, 2004, cover price $110.95 | About this edition: Foundations of Problem Based Learning explores the foundations of problem-based learning and its use. 9780335215317 | Open Univ Pr, November 1, 2004, cover price $67.00 | About this edition: Foundations of Problem Based Learning explores the foundations of problem-based learning and its use.